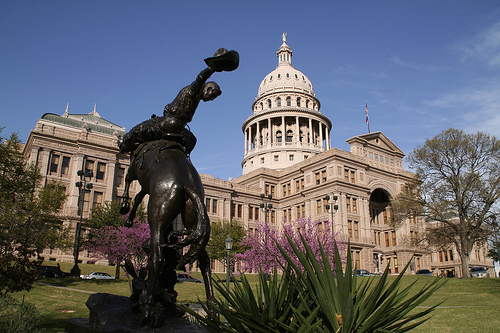 According to the Austin Business Journal, Texas ranks45th out of our 50 great states for the weight of total state and local tax burden, according to a report generated by The Tax Foundation who is based out of Washington DC. The report says that tax burdens in fiscal year 2009 fell from the previous years, and said New Jersey residents paid the highest combination of income, sales, property and other taxes at a whopping 12.1 percent. Texans paid only 7.1 percent over the same period. New York (12.1 percent) and Connecticut (12 percent) were close to New Jersey with their tax burdens, while Alaska (6.3 percent), Nevada (7.5) and South Dakota (7.6) had the lowest, according to the report.